On the Fence . 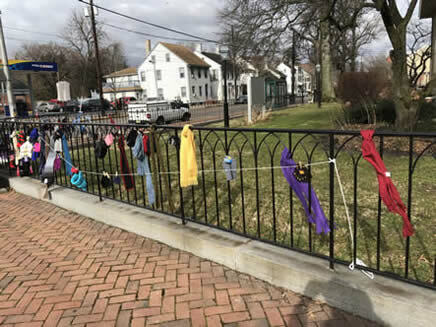 . .
For the third year, St John's is living out their mandate to clothe those in need, decorating the wrought iron fence around the corner of Market and Grant Streets with hats, gloves and scarves. 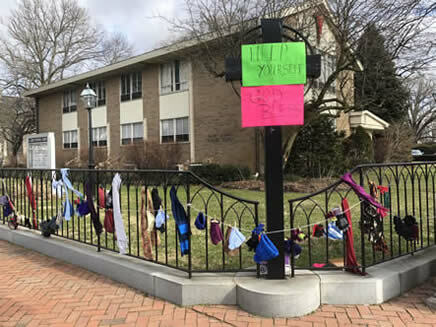 These items were donated by parishioners and many other community members. Many hands helped to put everything out on Sunday morning, January 16, 2019.